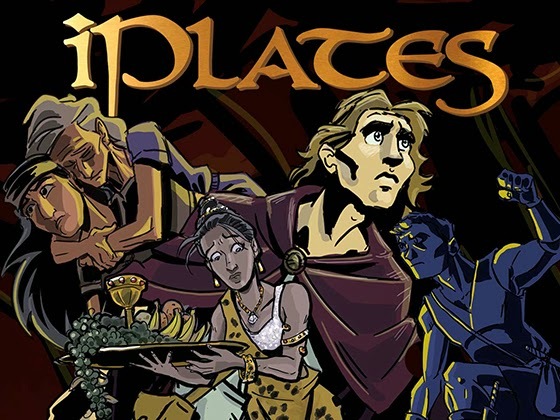 For the past year or so, I've been working to produce a graphic novel called iPlates, which is based on a few chapters from the Book of Mormon. (See our Kickstarter here.) Before starting this project, I had thought of the Book of Mormon as having a worldview easily nailed down, but as I studied it for clues on how to structure my story, I suddenly saw the Book of Mormon's worldview popping up all over the map. I was thoroughly confused by this until I remembered my graduate studies in narrative form. Scriptures fulfill two major functions. First, they give their followers a story to cohere around. Instead of presenting social visions, rules, and knowledge in abstract form, cultures often embed them in stories. The concepts stick better that way. I heard these kinds of stories often when I was spending time in an Alaska Native village. I'd see the village elders (male and female) sitting with the kids, sometimes telling about a shaman’s adventures, sometimes telling about an accident they had survived (such as falling through the ice or breaking down in the middle of nowhere), sometimes telling about the antics of the mythological Raven. The elders were embedding culture and skills in those young minds. Along those same lines, it seems to me that the Jews managed to survive their trials intact at least partially because they had a book full of well-functioning stories to guide them. Similarly, I think, the Book of Mormon has provided the stories Mormons needed to cohere in times of hardship. The second function of scripture may seem counter-intuitive, but it's essential. Scripture needs to be able to dismantle outdated structures. People change, surroundings change, cultures change. One year the Israelites are slaves in Egypt, the next, they are wandering in the wilderness, forty years later they're setting up shop in a promised land, and after that they find themselves in Babylon. How do they maintain their identity through all these changes? How do they continue to work together? If their scriptures had been too rigid, the Israelites would not have found ways to adapt without suffering huge rifts. They needed to find fresh approaches to their scriptures that addressed their new contexts. And those new approaches needed to be rooted in their scripture stories, otherwise the ideas wouldn't gain traction with the people as a whole. I've noticed both of these functions at work in the Book of Mormon. On the one hand, it has managed admirably to keep its people unified, even when they were immigrating from state to state. Its stories have provided the framework for the Saints to interact with each other and to work toward a shared vision. I had been aware of that aspect of the Book of Mormon for a long time, but it wasn't until I started researching for iPlates that I started to see the second one at work. The Book of Mormon presents characters such as Captain Moroni, Teancum, and Ammon who use violence to forward causes they believe in. It also presents characters such as King Benjamin, the Anti-Nephi-Lehies, and Alma the Elder who preach and embody peace. All of these characters are portrayed in a favorable light. Rugged individualists get lionized on a regular basis. So do communities that have "all things in common." Governments and kings get alternately praised and condemned. Nephites become wicked. 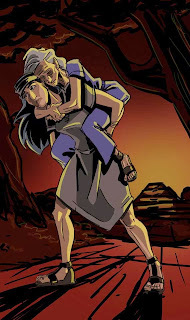 Lamanites become righteous. 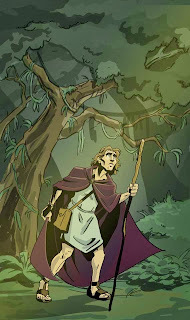 Distinctions between Lamanites and Nephites disappear. And then reappear. In other words, the Book of Mormon seems to present counter-balances for every idea, making its narrative both substantial and fluid—as good scripture is. 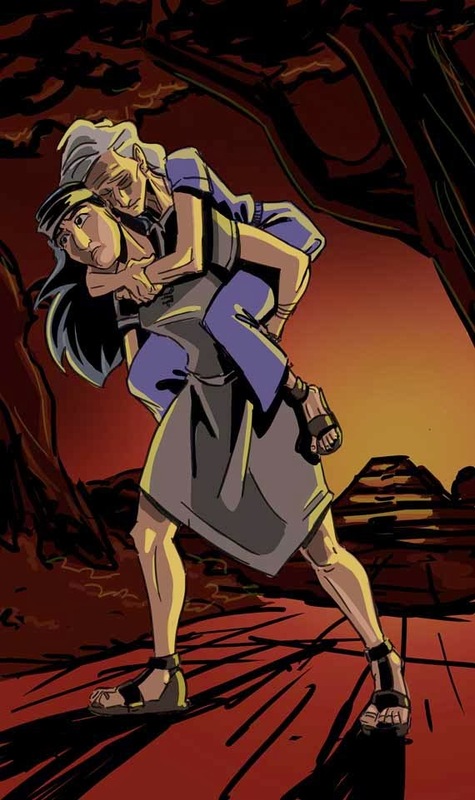 I found a very interesting example of the Book of Mormon's fluidity while trying to create two female protagonists for iPlates. At first it might seem that I would have to make female Book of Mormon characters out of thin air; there are, after all, only three females who get a name in the Book of Mormon (besides three Biblical women), and none of them show up in the chapters of Mosiah I was adapting. But after a bunch of work, I started to see that the Book of Mormon contains (admittedly tiny) seeds that can help us approach its stories through a feminine lens. For example, there is a very interesting, even surprising, event that saves thousands of people's lives. It comes completely out of the blue, and seems quite in conflict with the normal methods of dealing with an approaching army. The idea is obviously the product of a unique mind. And that idea is unattributed. That was my "in." This unattributed idea could in all possibility have come from a female. And thus, Zerin started to develop. I wondered what the background would be of the person who came up with such a unique idea. How would she find herself in a position to put that idea into motion? What would she have to sacrifice to make it work? It seems to me that with the increasing inclusion of women into the leadership councils of the Church, it will be helpful to start integrating females into our conception of the Book of Mormon narrative. To start doing so, I suggest finding the places in the Book of Mormon where there is a lack of attribution. Where something surprising happens. Where something you had taken for granted suddenly needs a creator. They can be the perfect opportunity to imagine a female character at work. Come meet Sybil and Zerin, the two female protagonists of iPlates. Our Kickstarter continues through December 6, 2013. Stephen Carter is a stay-at-home dad by day and a professional editor by night. His writing on Mormon themes has won many awards including citation in The Best American Spiritual Writing 2007 (Mariner Books). He earned an MFA in fiction from the University of Alaska-Fairbanks where he wrote a screenplay that took third place in the 2006 LDS Film Festival. He recently published The Hand of Glory (Leicester Bay Books), a young adult paranormal suspense novel. He is the first counselor in his ward’s Sunday school presidency and just loves to ring the bell. Image credit: Stephen Carter (used with permission).